This is the new Colombia. After 52 years of conflict, Colombia is moving into a new era. The historic signing of the Peace Treaty is the impetus to this change, and so is the resilience of Colombians paving the way for a brighter future for their children and families. Fortunately for you, tourism has opened up in Colombia over the last 5 years, making it one of the most attractive places to visit. 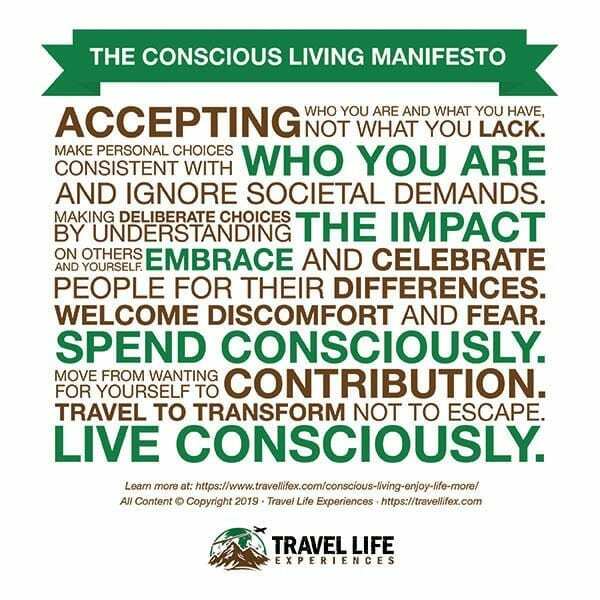 It's because it is one of the most naturally beautiful and biologically diverse places you will ever see, coupled with warm and friendly people ready to welcome you. What all Colombians want is to move on from their dark past and show the world what they've been missing out on. Only last October, Medellin hosted Masterpeace Bootcamp 2018. Masterpeace is a global Peace organization operating in 40 countries that support delegates from all over the world on projects for peacebuilding and togetherness. Medellin came into the spotlight and became center stage when it showed its peace projects to the world. 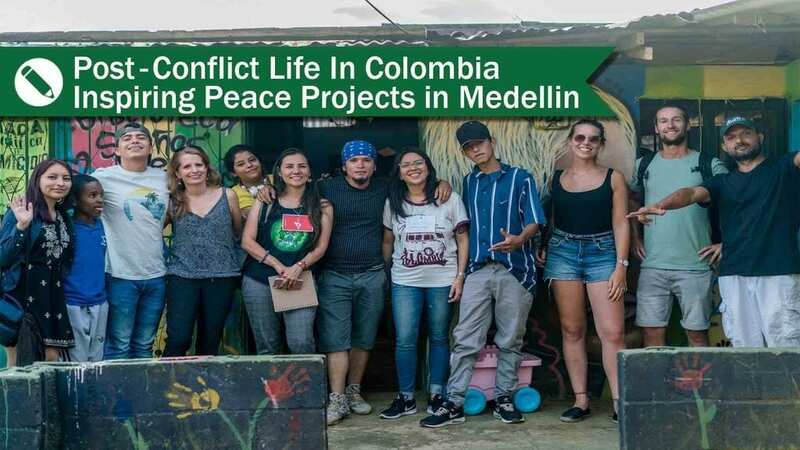 The Peace Hub is an NGO that supports and mentors seven social Projects in Medellin. 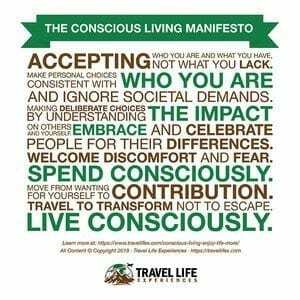 They give them access to travellers like us, give them a voice, and workshop help. Each of these projects help their neighborhoods improve the lives of the residents, and set an excellent example for children to overcome their past to create non-violent forms of creative expression. The Peace Hub also runs tours of these social enterprise projects. Nothing prepared us to heard about the painful, difficult and violent stories of the 52-year war in Colombia. Of course we don't understand, because we come from safe and stable countries. Listening is the best way to embrace it and to acknowledge and empathize what people have gone through. With 39 other volunteers at the 7in7 conference, We were lucky to spend time with the people that created these social projects, to hear their stories, and understand their challenges and opportunities. We were fortunate to interact firsthand with the people of these community projects which inspired hope, opportunity, and faith in humanity. However, with positivity also comes uncertainty. With a new government in place, and the rapid change of the country's political, economic and social conditions, these projects need our help. How can you help these amazing projects in the Peace Hub? Each week from January 15- March 1st we will be working with Peace Hub and 7in7co and highlighting each of these 7 projects to help them stay open. Please see below. The 7 inspiring Peace Projects giving kids and families a sustainable, non-violent, and creative outlet. 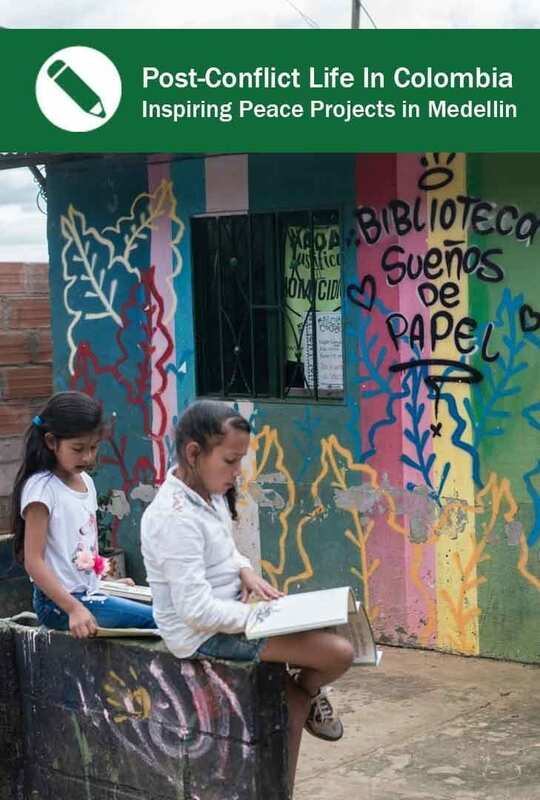 It is a library located in the low-income neighborhood of Comuna 3 (Barrio La Cruz) up in the hills of Medellin. There was a need for kids and young adults to have a creative space to express themselves. A small group of young adult residents, created this special place for kids a place to gather, to read, write, create music, learn photography and general community friendship. I attended the Peace tour last summer, and we visited the site. It's just a small little building, its not much, but to the kids, it is their safe and creative space. They were thrilled to show visitors their hip hop music compositions and their articles featured in their own community newspaper. How you can help: This library only survives on the donations to pay the rent and keep in running. We hope that they don't have to pay month to month and continue to help over 100 kids in the area focused on learning instead of gang activity or violence still active in the area. This a project that helps marginalized women learn farming and reconnect with the earth. They teach classes on agriculture, agro-ecology and how to grow edible plants. These projects help make the neighborhoods more livable, and give the students pride in making their home just a little greener and more beautiful. 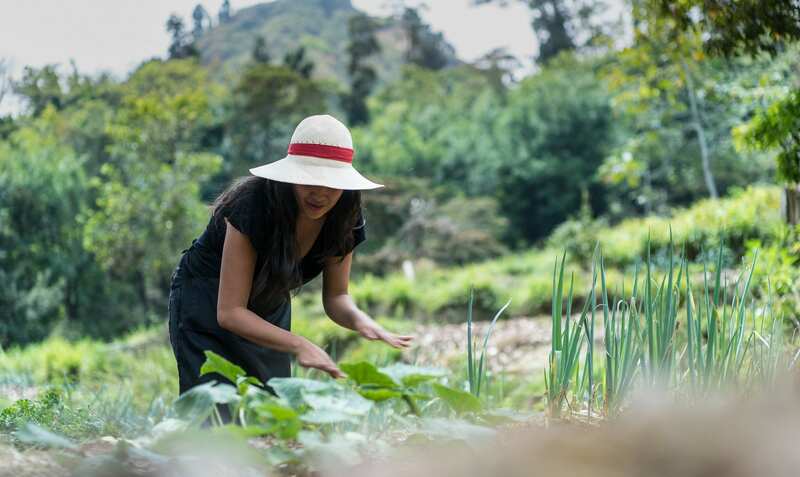 How you can help: The womens goal is to obtain funds to create a fully sustainable 'lighthouse' farm, a project in Medellin, serving as a lab and model for future farming in the area. During the week starting January 23rd we are helping Deditos Verdes raise funds to help more women and teach them the future of farming. All natural product line of cosmetics and medicinal products made with ingredients found in the Aburra valley all around Medellin. Sí Hembra: shows women in economically and financially vulerable situations how to make these products and find meaningul income, purpose and their 4 month training is designed specifically to build self esteem. I love their tagline, it says: "Connecting with the strength of women." How you can help: They need funds for one more trainer to help more women and run more workshops. 52 years of war in Colombia has impacted millions of people. No doubt, there are many suffering from Post tramatic stress disorder. Dharti Yoga assists these victims with learning yoga and meditation practices as a way to aleve the unsurrmountable pain of many Medellin residents. How you can help: Dharti Yoga recognizes the journey for its students isn't simple, and it takes time to move them onto the path of recovery. They hope to hire a psychologist who can work with these students in tandem with their yoga and meditation practice. A center that creates short and long-term projects with its members in the under- privileged Moravia neighborhood. 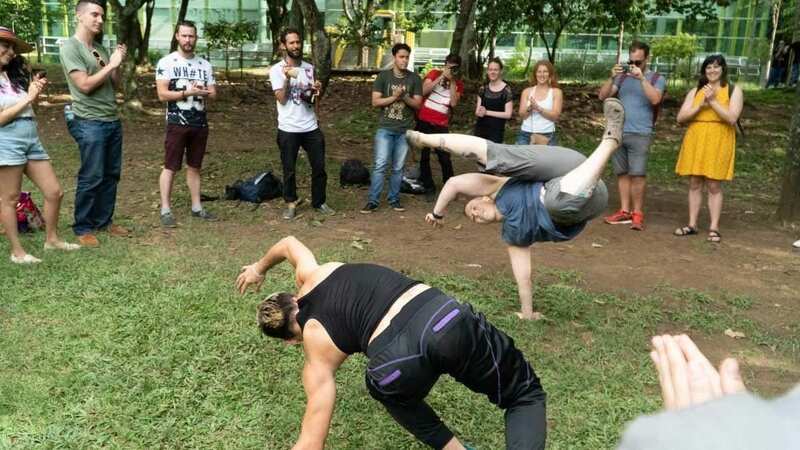 Students learn music, Capoeira dance and other artistic forms of expression instead of engaging in drugs or violence. Their goal is to create a more peaceful society. 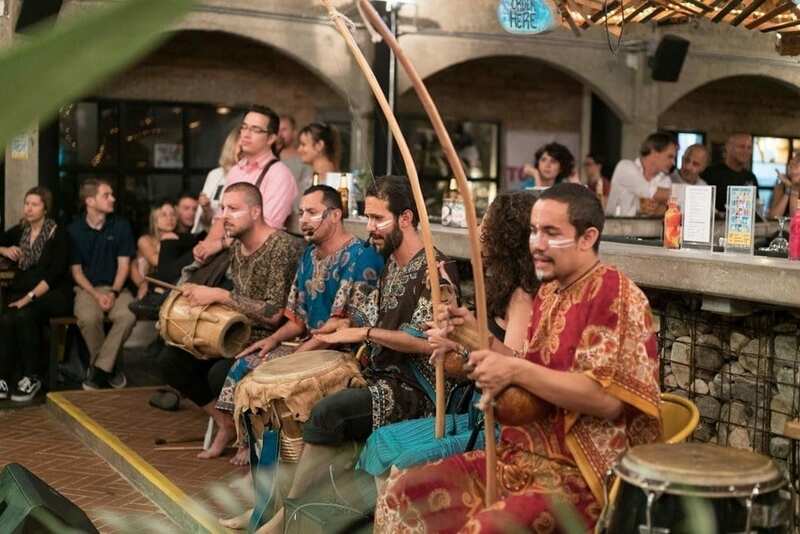 We saw these guys perform traditional music one evening in Medellin and run a Capoeira workshop. These young muscians are talented. How you can help Mangle: To continue their project they require funds for their 25 teachers to continue the great work they are doing for the children and teens in Moravia. 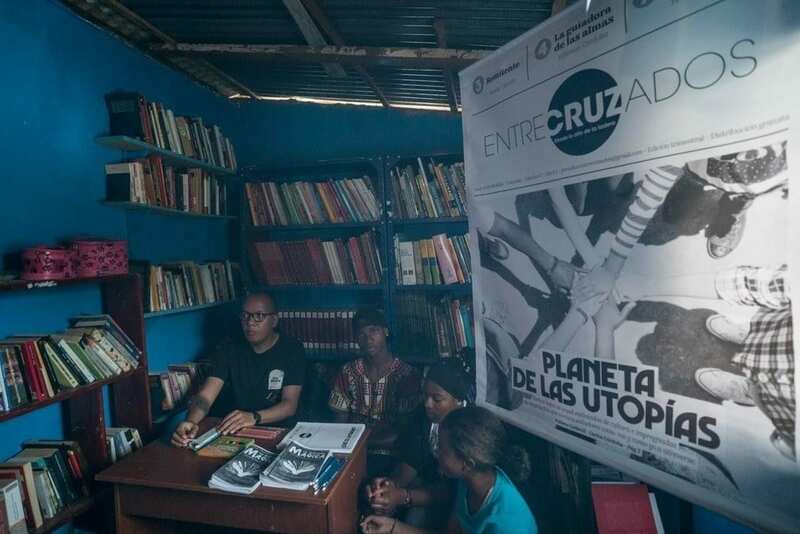 Is a community space in the neighborhood of La Loma, also a low-income part of Medellin. Children, teens and adults come to this space to learn art, dancing, music and engage in other recreational activities as a creative outlet to meet and learn from one another. How you can help La Loma: Is looking for funds to pay their rent, unfortunately this project does not exist without donations. It’s a dance academy in the underprivileged and dangerous neighborhood of Manrique. 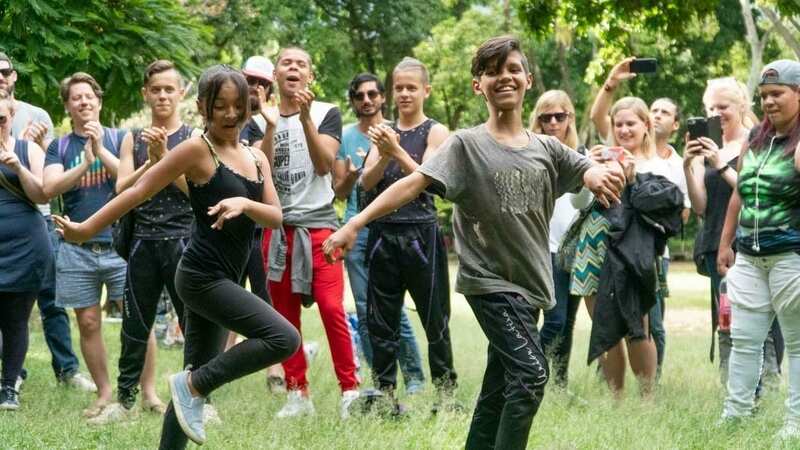 The accomplished Colombian dancer, Yoiner Machado, created a dance studio for the kids in his home neighborhood so they could stay away from drugs, crime, violence and dropping out of school, which was once rampid in the area. 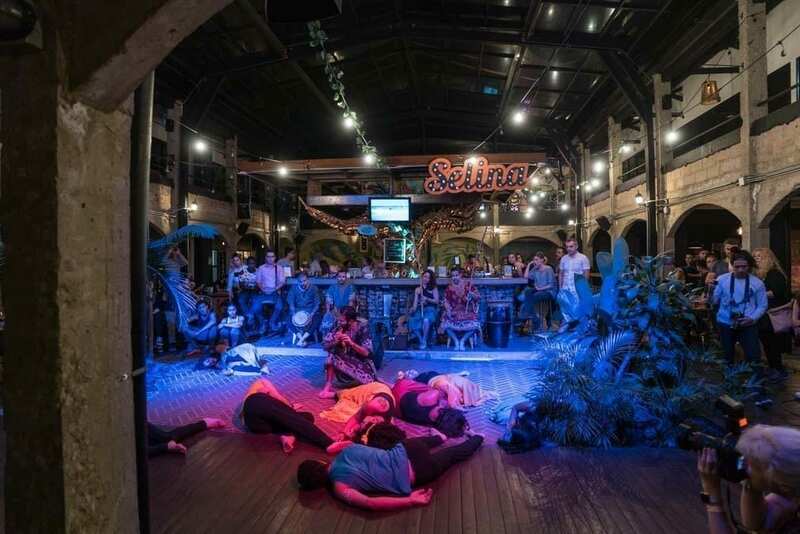 This dance space has become an extended family for these kids, but this is not just a community dance studio- these kids were recognized for their hard work in, winning dance contests throughout Latin America. Their donations and winnings help their families with food baskets, and all around help by creating a positive example for other residents in the neighborhood and around Medellin. Students from Union Latina showing our group how dancing is done! Inspired by what a small group of people can achieve in their small and limited resource communities? There are several transformational projects happening in Colombia and we've been fortunate to visit and create videos about them. Below are additonal tours that you can join to learn about the transformation and change in Colombia. Are their social projects around the world that you value, that changed your views, and gave you hope ? We would love to know!